For any parent, to see your child’s pain because other children are shutting him out of the group, or worse still, directly bullying your child, is heartbreaking and infuriating. You’re hurting to see your child hurting. And to receive either an unsympathetic reaction or promises that things will change and nothing does only exacerbates your frustration. So what does work, what is needed and how does a parent get that support for their child? Phrases that are NOT helpful. Neither the bullying behaviour nor the pain caused by it is going to just disappear of its own accord. Your child needs and deserves support. I doubt if there’s any one of us that doesn’t remember a hurtful comment somewhere along the line. I’ve talked with fifty year old men still deeply hurt by the bullying they endured at school. What else is a child supposed to do! We can’t expect children to be able to handle the quagmire of bullying behaviours that would probably be legally labeled as harassment or abuse if they were adults. If the child is reporting something, he’s trying to let you know that something is not ok. Children need adult support to deal with these challenges. To expect a child to suppress or deny his feelings is asking him to suppress or deny his very self. His feelings are his ‘inner barometer’ letting him know something is not okay. When parents and teachers are skilled in developing children’s Emotional Intelligence, they have a key tool to supporting children, especially in challenging situations. 1. YOU can make a difference – for everybody’s sake. It makes sense that what you’re focused on is your need for your child to be treated the respectful way that any person deserves to be treated. Despite your justifiably angry feelings, your wise, courageous and sensitive handling of the situation can bring the change that’s needed for everyone. Until the issue is addressed at its roots, if it’s not your child being bullied, it’ll be someone else’s. Ask yourself ‘What really matters here?’ for your own child and also ask yourself What really matters here? re the long term community perspective. 2. Bullying is a community issue. Bullying isn’t just about the children directly involved in the particular incident/s. We need to create healthy environments that nurture every child’s well-being. 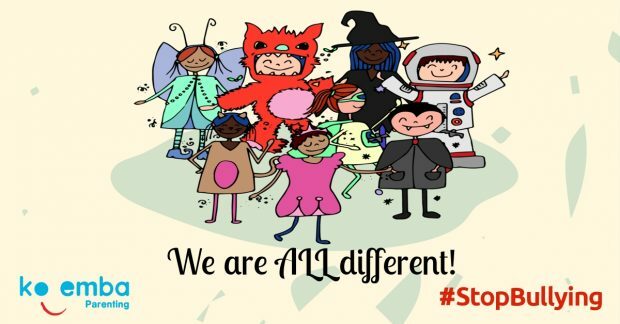 Mary Gordon’s ‘Roots of Empathy’ work is a great example of how, when a climate of caring and understanding is deliberately nurtured, children not only practise kindness but they will also take a stand against bullying behaviour. The amazing thing about Mary Gordon’s work is that it’s not focused on bullying. It’s a programme where a baby and parent ‘visit’ the class each month through the school year. A trained facilitator helps the children to understand about the baby’s level of development, what the baby might be trying to ‘tell us’ and how we can give the baby what he needs. Children not only become compassionate and tuned in to what the little one needs – but this empathetic awareness ‘rubs off’ on one another. they learn to care about one another’s feelings and experiences. Whilst it makes sense that you’re upset, do whatever helps you calm down before you go into the meeting so that you can cooly and coherently explain what has happened and discuss what’s needed. If you go in with guns blazing people will ‘dive for cover’ and not hear what you really want them to hear. If you feel your anger rising during the meeting, focus on your breathing, (Breathe in up to the count of 7, then out 8-9-10-11). Remember that if you go into ‘attack’ mode, people will go into ‘defence’ mode. Choose to model the behaviour you’d like your child to receive. 4. Refer to ‘bullying behaviour’ rather than to ‘the bully’. It’s easy, especially when we’re angry and upset if our own child has been hurt, physically or emotionally, to label the other child. But remember that it could have been your child doing the bullying. Labelling the other child is likely to cause the other parent or staff member to react defensively. You can choose to respond in way that is likely to instigate cooperative interaction between the involved adults, to bring healthy change in the community. what you need for your child. If you use language that addresses the incident, rather than labels the other child, you’re likely to find it easier to achieve your desired outcome to create a happy environment for your child. 5. Focus on the favourable outcome you’d like to create. Think ‘resolving the challenge’ rather than ‘punishing the perpetrator’. And be prepared to do whatever it takes to ensure that all the children in your community have the safe environment they deserve. It makes sense that you’d like ‘that child to get a taste of his own medicine’. Over my years in teaching I’ve noticed that when children are hurting inside they’re likely to cause hurt on the outside. I’m not saying that that’s necessarily the ‘fault’ of the parent – it may be related to some other issue. 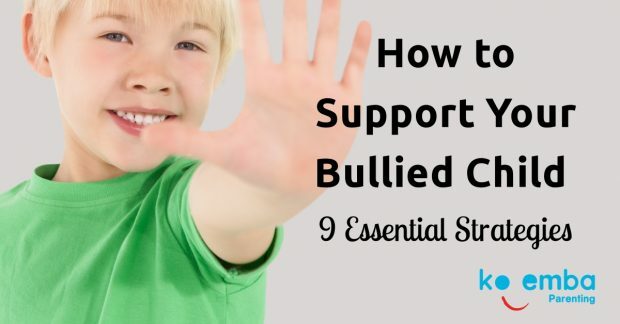 What I’m saying is that the child who is bullying needs support too. And when you model compassion as well as justice you set a powerful example for your child. One of the greatest challenges is to champion your child. In other words, rather than your child feeling a victim, give the type of support that he will come through this knowing that he’s a champion. For pdf of this CLICK HERE. Val Mullally MA is an accredited Parent Coach and offers one-to-one coaching, as well as workshops for parents and for staff to create healthier, happier environments.